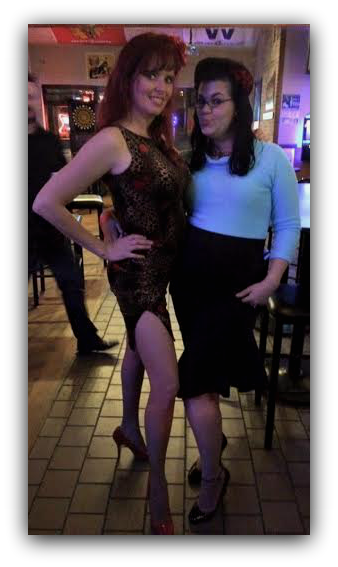 On Saturday, James and I attended the Rockabilly Xmas Party at the Penny Road Pub in Barrington. While we were a little late getting there, we still made it for the last two bands - Radium City Rebels and The Krank Daddies! I said yeah baby, woo-hoo! Some of my black Friday orders had arrived and I was able to wear my new Mode Merr sweater top - check back on (Fashion) Friday for my outfit! Shannon and me lookin' cute! The show was a blast even if we only got the last half. 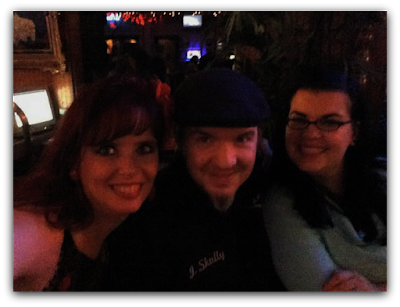 We got to see some hot-rod family and two bands we really like plus a ton of good times with Shannon! I can't wait for next year's - I'll even get up early to make it on time! Today is James's birthday - I'm off to go celebrate with him! Have a great Wednesday everyone!